Dear Friends ,You all knows that Modi Government Presented his First Full Year Railway Budget and Union Budget for the Year 2015-16 . 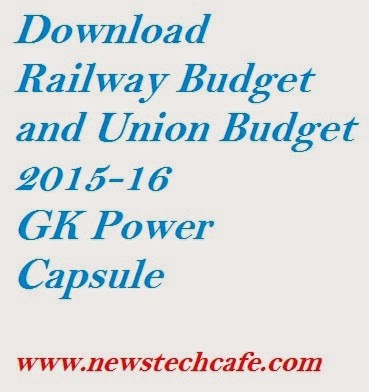 Railway Budget is Presented by Railway Minister Mr. Suresh Prabhu. Union Budget is Presented by Finance Minister Mr. Arun Jaitly. Hope These GK Power Capsule is Proved to be very helpful for your Upcoming Banking,Insurance and SSC exams .